Milwaukee, WI — The Frank Juarez Gallery is pleased to present Boundaries, an exhibition of new work by Sara Willadsen. This will be Willadsen’s inaugural solo show at the gallery. This exhibition runs from September 8 – October 20, 2018, with a reception on Saturday, September 8, 5-8pm. The Frank Juarez Gallery is located at 207 E. Buffalo Street, #600, Milwaukee, WI 53202. Gallery hours are Saturdays from 11am-4pm and by appointment. An exhibition catalogue containing an original work of art by the artist accompanies the exhibition and is available at www.frankjuarezgallery.com and at the gallery. Sara Willadsen was born in Sheboygan, WI in 1987. She received her Master of Fine Arts in Painting from Northern Illinois University in 2014 and her Bachelor of Arts in Studio Art and Graphic Arts from Lakeland University in 2010. Working mainly with paint and various collage elements, Willadsen’s work explores concepts of abstract spaces and objects guided by her surroundings. She has had work featured in New American Paintings and shows frequently in regional and national exhibitions. She is currently works as a visual artist and graphic designer Sheboygan Falls, Wisconsin. Willadsen is represented by Frank Juarez Gallery. The Frank Juarez Gallery is committed to supporting artists working in painting, photography, sculpture, video, installation, and mixed media works. We aim to create an accessible, educational, and engaging exhibition space for our artists, audience, and community. The Frank Juarez Gallery exhibits and supports the works of artists who value innovation, technical discipline and artistic excellence in their chosen medium. 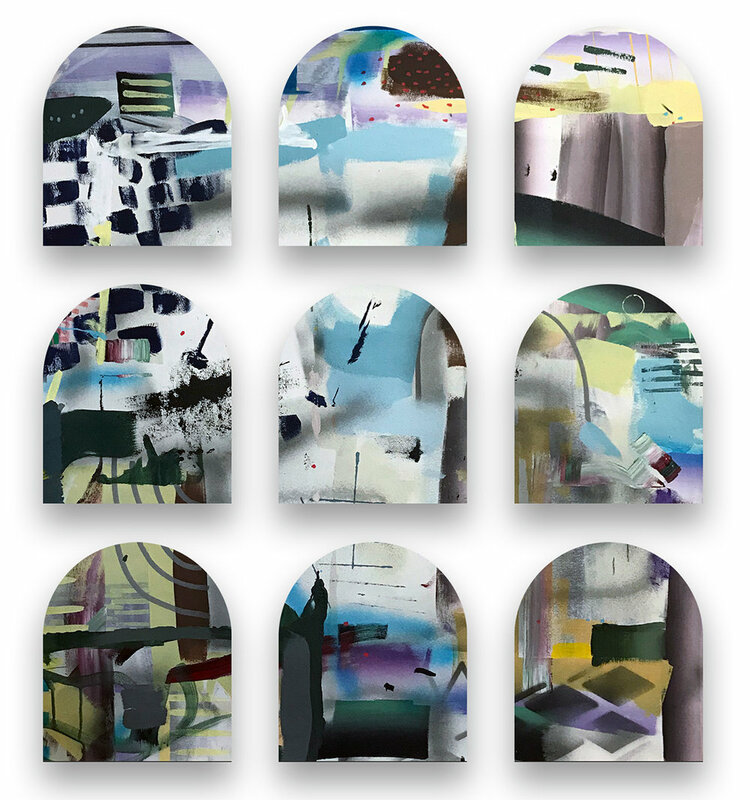 For further information on the exhibition Boundaries: New Work by Sara Willadsen, please contact the gallery at frankjuarezgallery@gmail.com or call 920.559.7181.